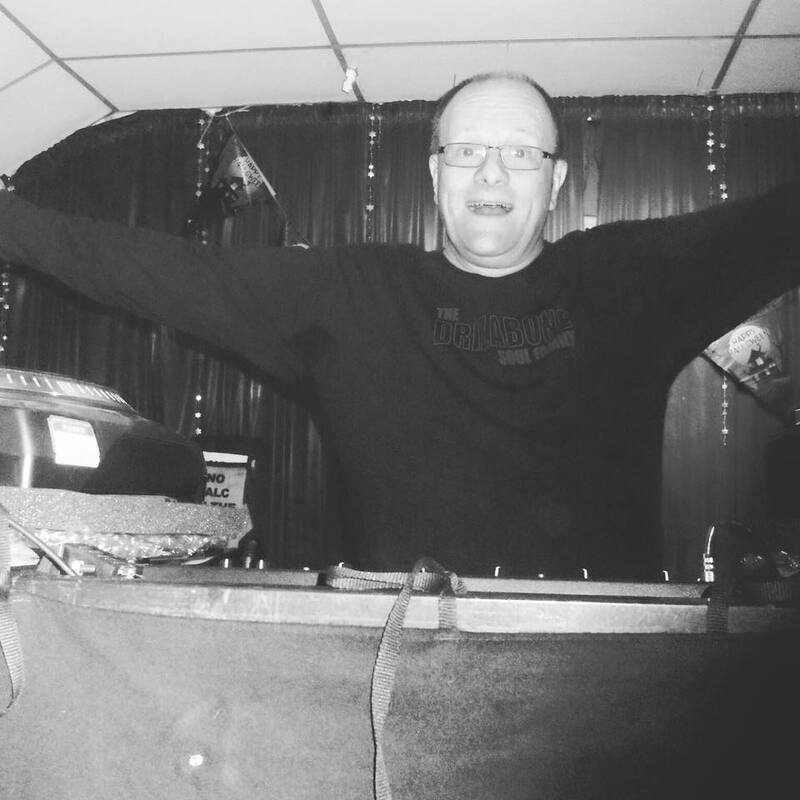 Paul stated Djing whilst still at school, initially purchasing some homemade record decks which became his first method of spinning vinyl for the youth club, weddings etc in and around the Alfreton area. His liking for soul music started there and the obligatory northern sounds were purchased from Foxs Records and R E cords Derby along with some purchases from a stall in Derby market. After leaving school at 16 he travelled down to Newquay Cornwall by train where although he had not passed his test he was employed by a local Bandleader Ken Stratton who provided entertainment around the hotels, Ken would deliver the equipment to the hotels and Paul would arrive early evening in order to set the equipment up and provide the unsuspecting holidaymakers with what they wanted, a good time. Apart for the obvious joy of having the records which holidaymakers didn’t expect me to have it was a magical summer with no cares apart from how much money to make and how much more to be able to spend on records?. When not Djing I teamed up with some friends from Newquay whom I used to go to the Blue Lagoon Ballroom with to dance to the likes of Froggy and Chris Hill who would come down regularly, there also used to be live bands on which added to the joy of that summer. I came back from Newquay in September when I started college in Buxton. Whilst at College my appreciation of soul music and DJing continued running discos at a local golf and squash club and providing discos for the college and the likes of young farmers etc. Whilst at college I met like-minded people such as mark fletcher ex Pontins and the trips to Wigan and all sorts of other venues started. After leaving college after a brief incursion into Berni Inns Bournemouth I uprooted again and revisited the Newquay area. Hotel discos again alongside youth club discos and stints in the very early days at Berties and the Tall Trees cub in Newquay.Although there was Northern Soul available in Newquay at that time, I saw my role as a little bit of a missionary type bringing new and good sounds to the holidaymakers alike. Jazz funk and fusion at that point took a hold of me, I remember purchasing my first Crusaders and Bob James LPs from smile surf shop who had a little record section at that time, and so it goes. I had a good couple of years and lots of experiences to talk about, such as the regularly misbehaving holidaymakers? also one time at Newquay youth centre I had purchased a new smoke effect set up which could accept large or small cartridges, I mistakenly on this occasion used the larger cartridges. As a result, when detonated it had the effect of turning everyone’s white shirts a deep navy colour alongside white now blue belts. I returned home to Derbyshire in 1980 and carried on DJing for a while, but some of you will know that it was Abba that finished me off or possibly my selfishness in only wanting to play the good stuff that put paid to my DJ Career. I had a brief visit back in the mid-1980s when I did a year at Chesterfield hospital radio. I was lucky to be approached by Ambersoundfm.com during 2013 with a view to presenting the soul show each Tuesday evening, to this date I am still proud to have presented the show until 2017 each Tuesday evening 9pm-midnight, live at 107.2fm in the east midlands. During the early part of 2015, the opportunity arose to purchase some equipment from a friend who was ceasing his disco business. The rest is history, the equipment was purchased and we are well and truly back out on the road providing musical entertainment to a specialist and none specialist marketplace. We are capable of discos for weddings. corporate events, background music, festivals etc.